You may only create a sub-account with your writer account. To create a sub-account, go the upper right-hand and corner and select your User Profile by clicking on your name. Then select "Subaccounts"
You may then enter your new sub-accounts name and any other optional information. You do not need to provide a new email address or password. Click save. You may switch between your main writer account and sub-accounts by selecting the "Login as" on the upper left-hand screen and utilizing the drop-down menu. 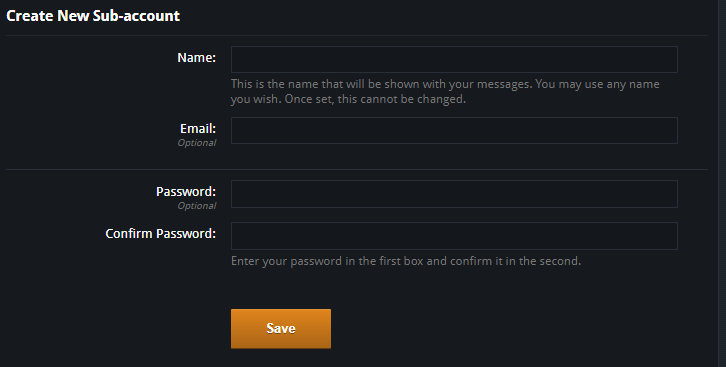 You may login as another user by going to the upper right-hand screen and selecting the account you would like to log in as.